The UK is not in the top ten. The report says that the harmful impact of alcohol far outweighs any benefits with even an occasional drink proving harmful. The authors of the report say that governments should recommend people abstain from alcohol consumption entirely. 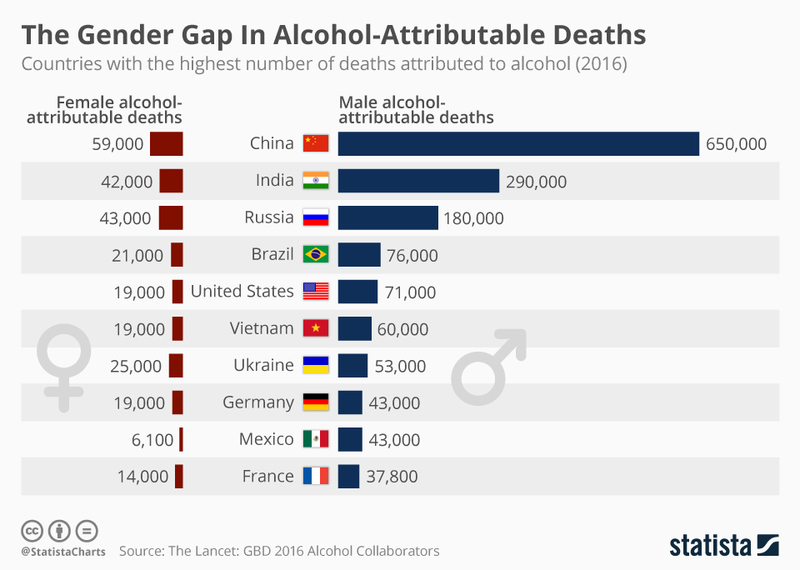 In 2016, 2.8 million deaths were attributed to alcohol and it was the leading risk factor for premature mortality and disability among people in the 15-49 age bracket.